The dates for MIPIM 2019 have been scheduled. The 30th edition of the world’s most prestigious real estate exhibition will be held at the Palais des Festivals in Cannes from 12th to 15th March. The Promenade de la Croisette in the famous resort town on the French riviera is expected to attract 26,000 visitors, who will wander among the stands of 3,500 companies, businesses and exhibitors from 100 countries. 5,400 investors will come to Cannes looking for investment opportunities. Over 100 conferences are scheduled over the course of the four days, featuring 360 keynote speakers. One of the special events that will make the event’s atmosphere even more impressive and distinguished is the opening speech by Ban Ki-moon, Secretary-General of the United Nations from January 2007 to December 2016. The numbers above illustrate the importance of this fair for the real estate world. Indeed, the event has been a benchmark for the sector since 1991. Once again this year, the spotlight will be on Regione Lombardia, one of the most highly anticipated participants. Regione Lombardia will present ten investment opportunities at this edition. Thanks to the Attract program, Regione Lombardia, together with Unioncamere Lombardia, has selected, through a public competition, ten real estate development projects in nine of the region’s municipalities, which represent the area’s beauty and variety. These ten projects range from the redevelopment of urban areas to the renovation of historic buildings and the regeneration of railway stations and ports. 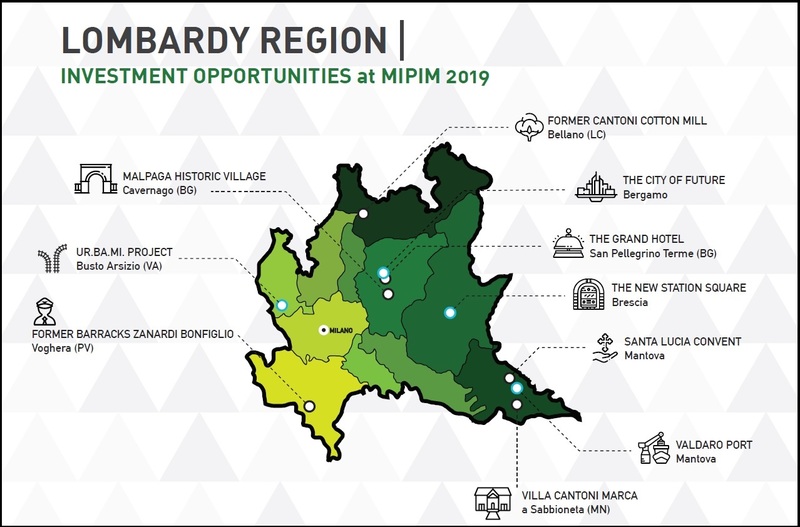 Have a look at the projects at Milano and Lombardy at MIPIM web site!